Mayor Kim Wolfe and Councilman Steve Williams spoke to a packed Marie Redd Senior Center crowd in a forum moderated by Social Work Professor Phil Carter of Marshall University. Carter called the event a discussion of the visions of the two candidates for Mayor of Huntington. Although they agree on many opportunities for embracing the future, Wolfe rests on a record of steady growth following a severe recession and Williams passionately embraces surging “light years” and becoming a Miracle on the Ohio (River). 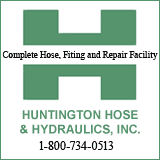 Wolfe’s last four years have brought a cleaner , safer Huntington. 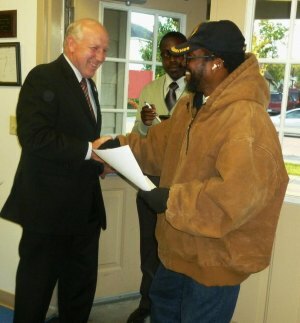 He reminded members of the Fairfield West Community about the times when it was dangerous to sit on their front porch. “Four years ago , we talked about protecting citizen’s property and cleaning up the streets,” the Mayor said. 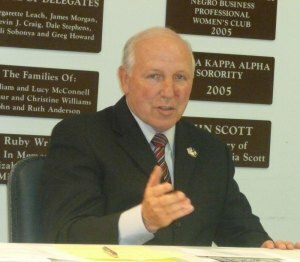 After the city survived a “train wreck” of multiple fiscal and crime related challenges, Wolfe explained that as engineer he has gotten the train moving forward again, pointing to new businesses at Kinetic Park, the renovation of the Ames store, the Old Main Corridor, and the upcoming revitalization of Hal Greer Blvd and Northcott Court. He pointed to 600 new jobs created based on collection of Huntington user fees, adding, “We continue what we have [started] doing,” which is “providing an atmosphere for entrepreneurs to bring small business jobs to Huntington,” Wolfe said. He applauded Police Chief Skip Holbrook for raising grant money to add more officers and equipment to the force without an increase in taxes. He summarized, “Re-elect me if you like the way the train is moving,” cautioning that a crew change will bring about an inevitable pause. Beyond experiencing a freedom from shots fired, Wolfe referenced a city that is all about “families.” However, the concept goes beyond raising a family, it extends to young residents not finding work in the city after graduating from high school and/or college. They move away, just like many members in Wolfe’s own family. “We have produced talented young people. We want them to stay here [by] making the community more attractive so business incubators can grow. Sometimes we forget what we have,” the Mayor said, referring to the river, Ritter Park, Marshall University, and an increase in and film/television production. The Mayor recalled meeting a woman who moved to Huntington, WV from New York. Why? In his words , she wanted a safe, medium sized city with good medical facilities, lots of opportunities in the arts, and low taxes. Williams, a former Marshall football player , chair of City Council’s finance committee, and a successful banker, does not deny that the city is going forward. He challenges citizens to accept his lightning speed scenario , rather than steady, status quo-like forward thinking. “Let’s turn a negative into a positive and go from worst to the first,” Williams said, alluding to the Unhealthiest City ranking that propelled Huntington on to national TV as celebrity chef Jamie Oliver worked to teach residents about nutritious cooking and eating. Describing life in the 50s in a city filled with robust neighborhood schools and neighborhood business, Williams challenged voters to raise the bar for success. “We have aimed too low,” he said. For comparison, he used the city’s population as within about 500 of overtaking Charleston, as the largest city in West Virginia. While that requires a 5% growth rate, he pointed to Lexington and Louisville as having experienced 20% growth. Thus, for Huntington to achieve only 5% means the city slides further behind other similar communities within the United States. On the other hand, Williams elaborated upon his “exceptional” vision stating, “There are some things only Huntington, West Virginia , can do.” Williams spoke of creating additional Tax Increment Financing (TIF) zones in which taxes from increased property values go back into development. 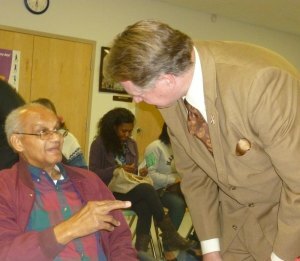 He proposed a zone for the West End/Central City, Hal Greer Blvd, Highlawn (A.C.F. Industries site) and downtown. Increased property taxes and sales taxes are captured and returned to the zones for infrastructure development. They already exist at Kinetic Park and sections of downtown. 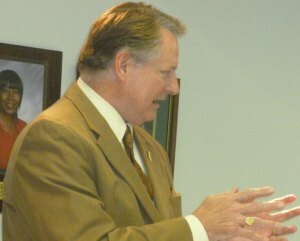 In addition to advocating free wi-fi internet service, Williams asked residents to step back and ask three important questions asked by business people: Where are we? What are we doing here? What do we want? NEXT: CITY CHALLENGES WHERE DO THEY STAND?